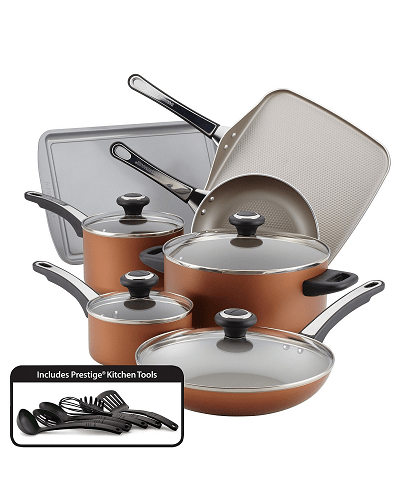 If you could use a new cookware set, here is a deal to check out at Macy’s. They are offering this Farberware 17-Pc. Non-Stick Aluminum Cookware Set for $59.93! That is down from the normal price of $179.99, for a 66% savings. Right now they are offering free shipping on orders of $75 or more. Or you can select in-store pick up for free.